A shopping using credit cards can give you multi fold benefits like cashback, reward points, EMI option, free movie ticket etc. Since most of our shopping is done using credit cards it makes sense to select best credit card for shopping and cashback. If you are doing regular shopping using a credit card and willing to save more money here is a list of 5 best credit cards for shopping and cashback. SBI Simply Save card is one of the best credit card for shopping offered by SBI bank. You can save 2.5% fuel surcharge at every petrol pump by using SBI Simply save credit card. You can enjoy 10 Reward points per Rs. 100 spent on Dining, Movies, Grocery or Departmental store purchase. Earn 1 reward point for Rs 100 spent on any other category. You can redeem reward points against outstanding credit card balance or against gift. SBI Simply Save card offers 2000 Bonus points on spending Rs 2000 in first 60 days. Annual fee waiver on spend more than Rs 75000 per year. You can get information about SBI Simply Save Card from here. New American Express Payback Credit Card is on second number in the list of best credit cards for shopping and cashback. American Express Payback Credit Card offers 3 payback points on every Rs 100 spent. This points are not given on utility bill payment, Insurance premium payment and fuel payment. You can earn 900 bonus Payback points on spending Rs 15000 within first 60 days of credit card approval. You will get Rs 3000 gift voucher as a welcome gift on availing this card offer for the first time. New American Express Payback Credit card offers up to 30% discount and additional 5% cashback at over 1200 restaurants across India. To get more information about New American Express Payback Credit Card click here. ICICI Bank Platinum Chip Credit card is available with multifold shopping benefit to end customer. ICICI Bank Platinum Chip Credit Card gives 2 PAYBACK points on every Rs 100 spent for all retail purchases except fuel. You can redeem this points and avail attractive gift offers. This card also offers 15% saving on your dining bill at participating restaurants. ICICI Bank Platinum Chip card comes with additional security microchip. This prevents you from frauds and duplication of card. For more information log on to ICICI Bank website. HDFC Moneyback Credit Card offers following benefits to the customer. HDFC Moneyback credit card gives you 2 reward points on every Rs 150 spend. You can get cashback against this reward points. Online shopping will be more rewarding by using HDFC Moneyback Credit Card. You will get 200% more reward points on every online transaction. If you spend Rs 10000 in first 90 days your first year fee will be reversed. You can avail more information about this credit card from here. Citibank Reward Domestic Credit card is one of the best credit card for the shopping and cashback. This card gives following benefits to customer. Citibank Reward Domestic Credit card offers 10 reward points for every Rs 125 spent. You can avail 1000 bonus points on first Rs 1000 spent within 60 days of card issue. You can get a discount of 20% on selected restaurants. Citibank Reward Domestic Credit card offers multiple offers including EMI payment at various place. To know more about Citibank Reward Domestic Credit Card please visit Citibank website. A credit card can be a great tool if use wisely. On the other hand, unwise usage leads to a huge financial burden. 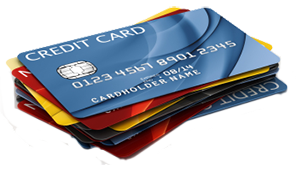 If you decide to use a credit card, remember few tips given below for credit card usage. Keep track of all your purchases. If possible, maintain all receipt of purchase. Don’t get carry away by doing impulsive shopping. Use the credit card for needs not wants. Pay off your bill every month. Never miss credit card bill payment. Use credit card as a budgeting tool. Take maximum benefit of rewards and cashback. Use credit card to improve your credit score. Don’t share your credit card information with anyone. Remember a credit card market is highly competitive in nature. Keep your eyes open and take credit card which offers maximum benefits to you. Hope you liked this article. Do share these useful tips and information your friends. This is a good post & I would like to go with HDFC Moneyback Credit Card after reading with this post. I think ICICI credit card reward points are worth nothing since these are transferred to payback and ICICI charges a big delivery charge if we redeem the points to buy something on payback site which in itself sells the items at high cost. Citibank cards are the best as the points earned can be swiped in fuel bunks.